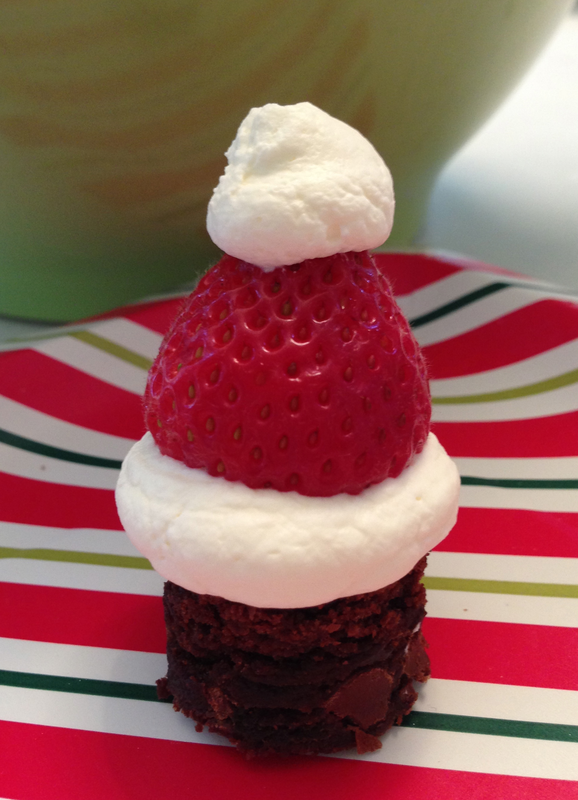 chocolate cake bites with santa hat | what is clara eating today? bake your favorite ketogenic chocolate cake (used coconut chocolate cake here) to 1/2-1 inch thickness. top it with whipped cream and strawberry. Your daughter is one lucky little lady to have such a great mama making all of these fancy meals!! Thanks for taking the extra time to share your recipes. I really enjoyed skimming through them.